​Matthias has more than 17 years experience in the insurance industry in Asia. He joined AXA in 2001 and left the insurance giant as their Regional CMO. With a strong focus on innovation and digital, he created the first web app concept and "skin" focusing on insurance acquisition within AXA. Since 2014 Matthias has created a series of profitable start-ups, each of them offering a strong value proposition to the insurance industry. Strong believer in insurance intermediaries, he founds my-insurer in September 2017 to respond to the appetite of the financial advisors, planners and other agents to have digital tools to serve better their customers. 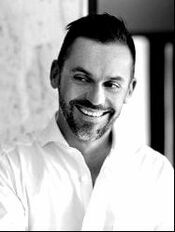 Matthias holds a Bachelor of Business degree from a French Business School, a Master in International Law from the University of Sydney and a MBA from Chicago Booth - University of Chicago. He is a PhD student in insurance economics since 2016. Regine, 33, is born entrepreneur. The Singapore citizen Joined the team in May to effectively launch the app and onboard our first partners. With more than 10 years experience in Business Development, she is charge of making my insurer the first and preferred insurance app for both intermediaries and insured. ​Daniel, 39, has been instrumental in making the app and software viable, robust, secured and scalable. Sarita Singh is responsible for helping to build communities across 13 key markets including Singapore, Pakistan, Vietnam, India and Indonesia. Prior to Facebook, Sarita spent several years at Google and has previously worked at salesforce.com, Oracle and Hewlett Packard in various sales, marketing and operations roles. ​Sarita is a passionate advocate of emerging markets and helping to drive diversity in the technology industry and start up community with various board positions including Female Founders. She holds a MBA from The University of Chicago Booth, School of Business. Prior to joining Triple P Capital, Hong Hai was the Managing Director of Contemi Vietnam, a subsidiary of a Scandinavian insurance IT group. He built up the group’s operations in Asia, and expanded its technical capabilities in mobile, big data and front-end development. Hong Hai drove the business from being a pure offshore development cost center into a profit center. Hong Hai holds a Bachelor of Computer Science from National University of Singapore, and a Bachelor of Arts from Academy of Diplomacy, Vietnam. Kin Wei is the regional Chief Information Officer of a large US based company. He has more than 25 years of extensive information management experience and rigorous track record in building high-performance teams, process and product Innovation. He is adept at working across Asian cultures, and extremely passionate about harnessing leading technologies to drive business value and competitive advantage. 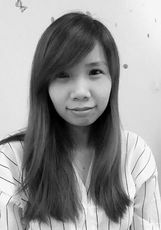 Kin Wei hold a MBA from Chicago Booth University and also a Board Member of couple of start-ups specialised in AI and Blockchain . Ludovic is a known product business development director for a multi-national digital infrastructure provider. He has over 15 years experience in incubating and bringing new products in the Internet of Things to a commercial success within multi-national or startup companies. With energy and drive, he innovates by disrupting statu quo to find new source of value creation. Ludovic hold a MBA from University of Chicago, School of Business. With more than 10 years of insurance and management experience, chris co-founded Mednefits, a start-up that improves corporate health care experience and lower overall healthcare costs while keeping the good customer experience. Prior to co-founding Mednefits, Chris was in charge of sales and business operations for AXA and NTUC Income, the leading insurers in Singapore. He also managed the direct channel in AXA and handled notable clients such as SIA, French Embassy and many more. Chris is a graduate of Royal Melbourne Institute of Technology.